− 3 = 0 Required Please enter the correct value. A recent Bloomberg survey of five analysts placed the valuation of Alibaba Group Holding Ltd. (NYSE: BABA) at $154 billion at the time of its IPO. The same survey said that Alibaba could reach a post-IPO value of $198 billion. A potential discount would not signify weakness in the IPO – rather, it would be Alibaba's attempt to avoid a flop similar to what Facebook Inc. (Nasdaq: FB) experienced during its initial public offering. Facebook was valued at $104 billion when it made its public debut in May 2012, but ended up losing half of its market value following its IPO as investors worried about slowing growth. Those concerns drove FB stock down more than 50% from its offer price in just four months. "Alibaba is raising so much money, for the market to support that, it's logical that it provides some discount to investors at the time of the IPO," Li Yujie, analyst at RHB Research Institute Sdn Bhd in Hong Kong, told Bloomberg. "It has a lot of potential, but investors want to see a few quarters of results and also see how the company will strategically place itself." Valuation estimates for the Alibaba IPO have climbed dramatically. Last year, estimates placed Alibaba near $63 billion. In April, estimates soared to $168 million among analysts polled by Bloomberg. In early July, Piper Jaffray analyst Gene Munster projected that the Chinese e-commerce giant was worth $221 billion, including cash. And that wasn't even the highest estimate. Before that, financial research company Sanford C. Bernstein estimated Alibaba's value at $230 billion. The valuation numbers have continued to skyrocket, and that's why Alibaba may indeed lower its IPO price when the initial public offering date finally arrives. 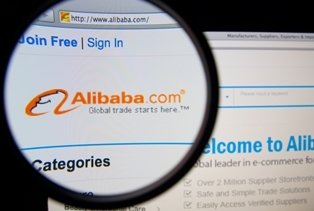 If investors are given a discounted price, that could encourage early buying and boost the value of Alibaba stock. The Alibaba IPO will be one of the largest IPOs ever, with many analysts expecting the company to raise more than $20 billion in the public offering. That would surpass the $19.65 billion raised by Visa Inc. (NYSE: V) for the largest U.S. IPO and the $16 billion raised by Facebook for the largest Internet IPO ever.